Yoshida, Hiroshi (1876-1950) "Arashiyama" - Woodblock - Chinese and Japanese woodblock prints for sale, silkscreen, scrolls, watercolor, lithographs. Artwork Details for Yoshida, Hiroshi (1876-1950) "Arashiyama"
Condition: Fine. Embossing throughout. Strong unfaded colours. Pencil signed in bottom margin. 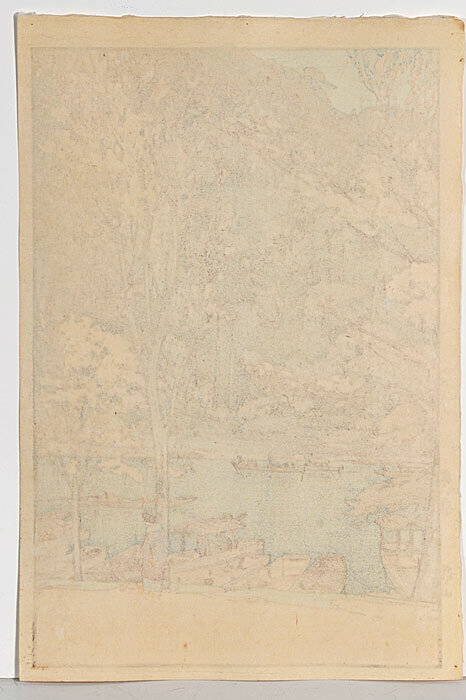 Paper drying holes in left margin, and three pinholes in top margin near edge. Notes: Rare. Very hard to find in this condition. jizuri (self printed) seal and pencil signature in margins, brushed signature with red artist seal in lower right. From the series "Eight Scenes of Cherry Blossoms." Arashiyama is an area on the west side of Kyoto. 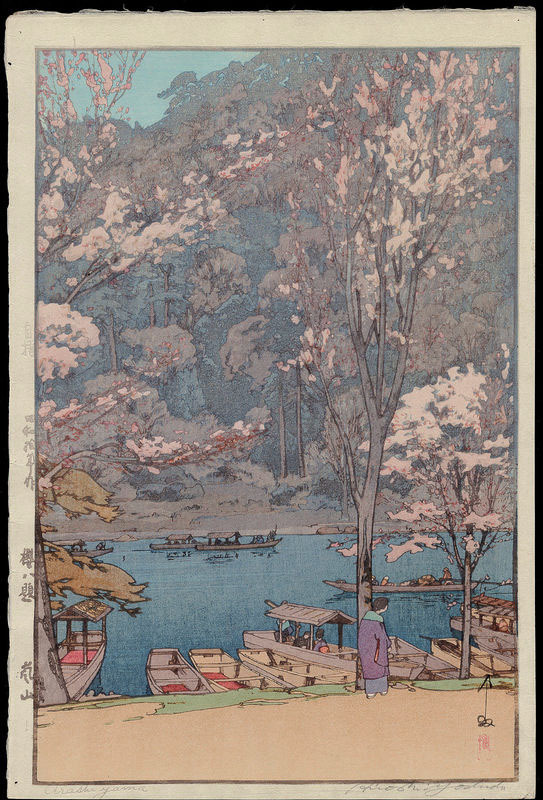 Illustrated in "The Complete Woodblock Prints of Yoshida Hiroshi," Abe Publications, color plate #195.